News in brief: BT to acquire EE, Tidal expansion, Xbox One update | What Hi-Fi? From confirmation that BT is to acquire mobile network EE to the latest European countries that will soon be able to access Tidal's lossless streaming service, here's the news in brief from What Hi-Fi? on 6th February. Our round-up starts with the news that BT has agreed "definitive terms" with Deutsche Telekom and Orange to acquire mobile network EE; a move that will see the corporation take on Europe's largest 4G customer base. 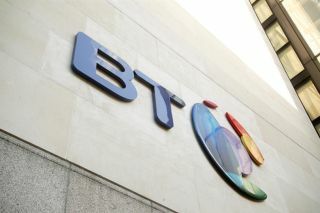 The £12.5bn deal is expected to be completed by the end of the 2015-16 fiscal year, with BT hoping that buying EE will help it speed up its "mobility strategy" and grow its "capacity for future investment and product innovation". It appears there is no slowing down Tidal right now. Fresh from its recent introduction of the lossless music streaming service into five European countries, another 20-plus countries worldwide are now set to welcome Tidal. Austria, France, Portugal, Singapore and South Africa are among the latest countries to get the Tidal treatment, with the move confirmed by its parent company Aspiro in its year-end financial report for 2014. After going live in the UK and US in October 2014, Tidal had recruited 12,000 paying subscribers by 31st December. And, in case you missed it, the service is on the verge of being taken over by a company owned by rapper Jay-Z, in a deal worth £37m. Reuters has long been regarded as one of the world's foremost news organisations and now, if you own an iPhone, you can receive all the breaking stories direct from Reuters thanks to its brand-new mobile TV service. For a £1.49 monthly subscription fee (there's also a 30-day free trial), you'll get Reuters Now, an on-demand, editorially-curated programme of between 5 to 30 minutes, which is presumably updated on a regular basis. You'll also be able to watch live feeds of events as they unfold. Simplestream has announced that it has secured additional funding worth £2m from a consortium that includes Beringea, a growth capital firm that has a focus on media and technology companies. The funding will be used by the company to accelerate the expansion of its UK streaming platform, as well as continuing the development of TVPlayer – the live TV streaming service that aggregates 50 free-to-air channels. YouTube is rolling out an innovative new feature that's being trialled by the platform that could transform everything – Choose Your View. At the moment, only one video lets you take advantage of this feature but it lets you watch the video from a variety of different angles. And YouTube is looking for other channels to test the feature on – but only if you're in the US, sadly. The first Xbox One update of 2015 has been unveiled, with a 'Game Hub' feature among the latest additions. The hubs serve as the "go-to centres" for content, tips and tricks for a range of titles; each game having its own hub. Other features to be released include improvements to the Xbox One controller, including Quick Connect, which will connect a controller to the console in just two seconds. The latest headphones from Beats by Dr. Dre have gone on sale in the UK through the Apple Store, cutting the cable on the company's Solo2 on-ears thanks to Bluetooth connectivity. Priced at £270, the Solo2 wireless headphones boast a range of up to 10m and an LED 'Fuel Gauge' that will tell you when the 12-hour rechargeable battery is starting to run out of juice.